Telescopes collect radiation from the electromagnetic spectrum for the purpose of viewing objects far away. There are many types of telescopes which use different types of energy. The optical telescope is the most common for consumer use, however for science and military applications there are many types including x-ray, radio, gamma-ray, gravitational wave, and high-energy particle type telescopes. Even though there are many types of telescopes we will cover just a few in this program. On mountaintops from Chile to Hawaii nations have constructed large telescopes to gaze at the stars. Typically you will find telescopes in higher areas due to less dense atmosphere, you will also find most telescopes are located far from cities which can generate light pollution. For engineers one of the great challenges of designing a telescope is creating the near perfect optics in the form or lenses or mirrors. More recently in history the role of computers has increased as computers can now solve problems of atmospheric distortion. Since the late 1970s there have been telescopes put in space for the purpose of observation without the problem of atmospheric distortion. The public projects for telescopes have been for purposes of science and astronomy, however there is another side of optics (military) which uses the same technology for looking at details on Earth. NASA’s 3rd High Energy Astronomy Observatory was put into Earth’s orbit in 1979 and was the first of many space telescopes. Many space telescopes use x-ray and ultraviolet (UV) light in addition to visible light devices. The most famous of space telescopes was the Hubble Telescope which uses UV light to see farther into the cosmos than any other telescope in history. You can see a full list of space telescopes on this wiki page here. In 2015 we conducted an interview with Dr. Acton of Ball Aerospace on the most exciting space telescope ever: the James Webb Space Telescope, or JWST as it is commonly referred to. 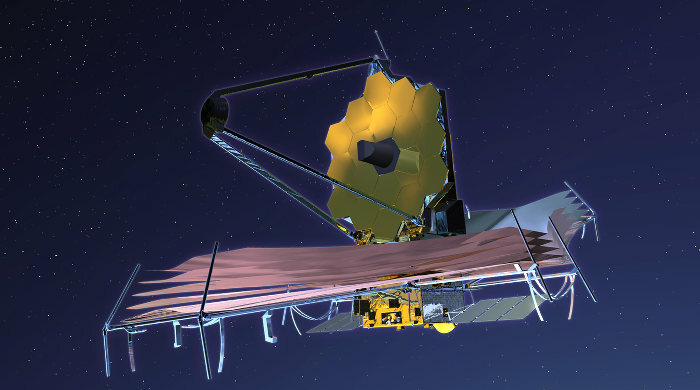 The JWST uses IR energy to see deeper into space than the Hubble. The James Webb is a form of optical spectrometer which we cover on this unit here. This is the temporary end of Unit III. Stay tuned as we expand this program in the future.